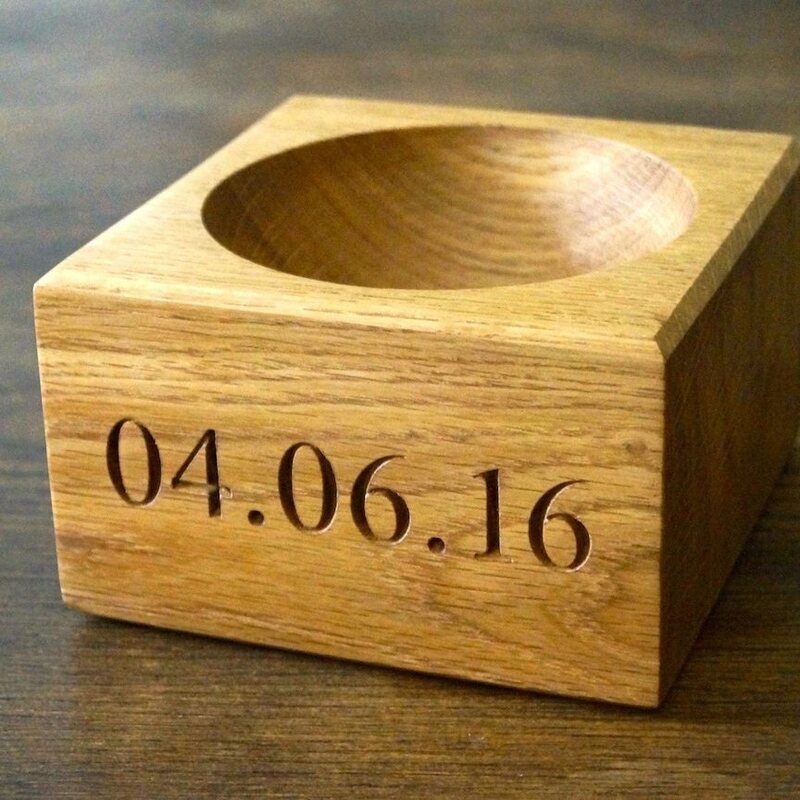 Our stunning Oak Salt Bowls This is our simple solid oak Salt bowl. Perfect for those who enjoy that hands-on approach when cooking.These fabulous looking wooden blocks are the perfect accessory to any cooks kitchen. 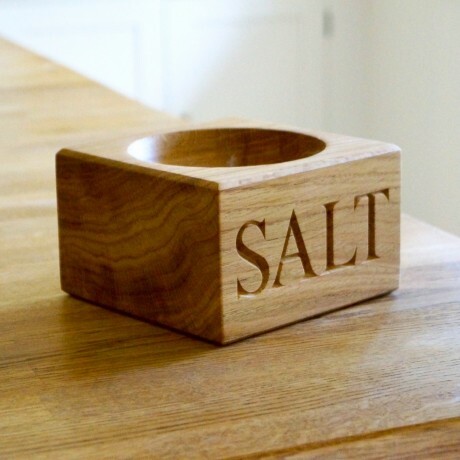 You will always have salt right there at your finger tips - and lots of it if you go for the large oak salt bowl. 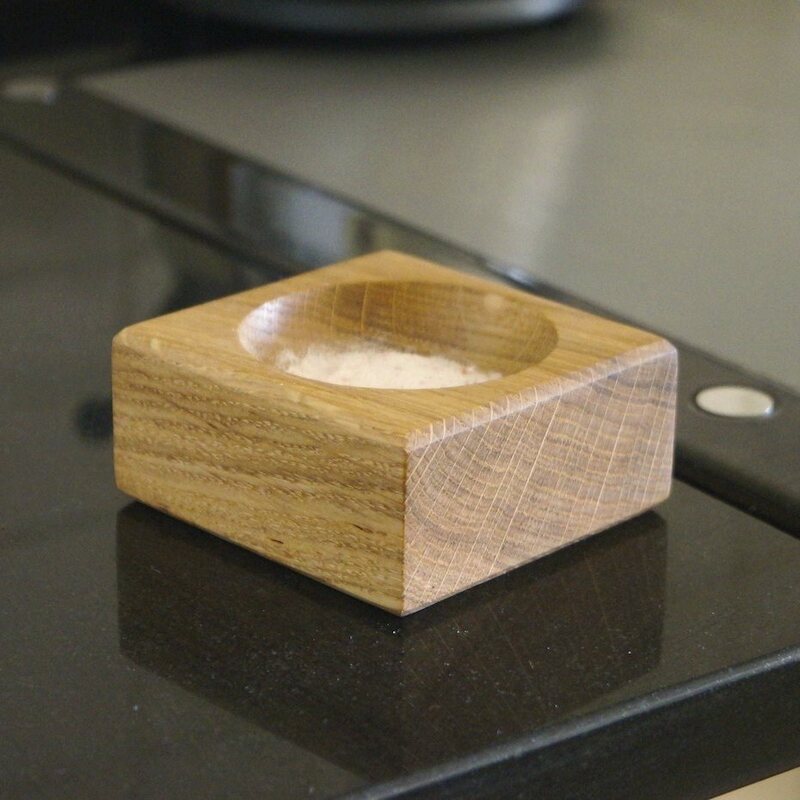 As used by many great chefs, this stunning wooden salt pig is elegant, practical and will look great in any kitchen. 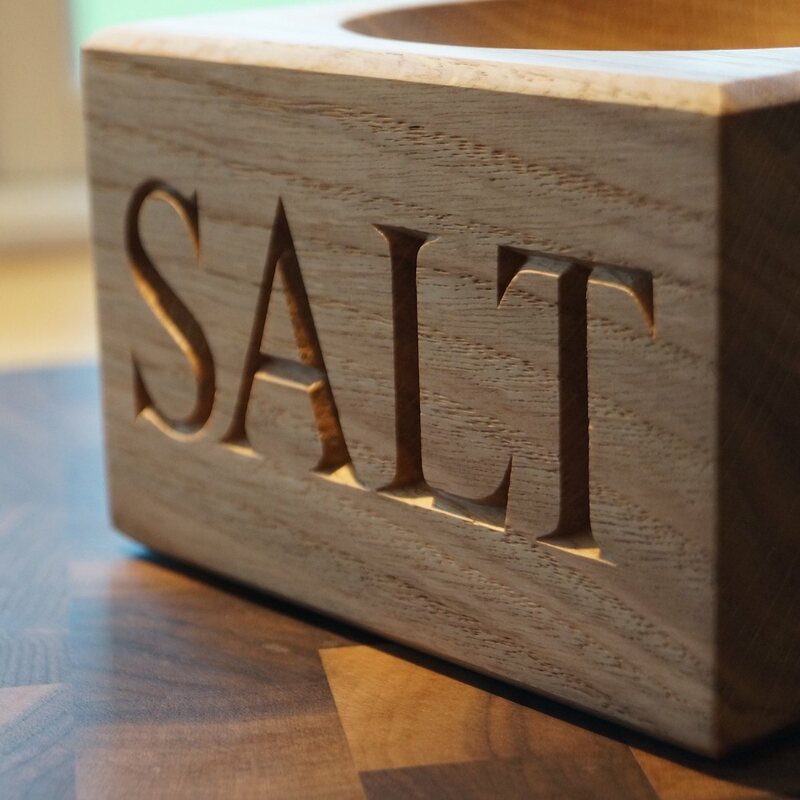 Our oak salt bowls are handmade from beautiful Prime A Grade English Oak in our Surrey Hills Workshop using only the very best locally sourced English Oak. Available in two standard sizes, we have bowls that will suit you and your kitchen. 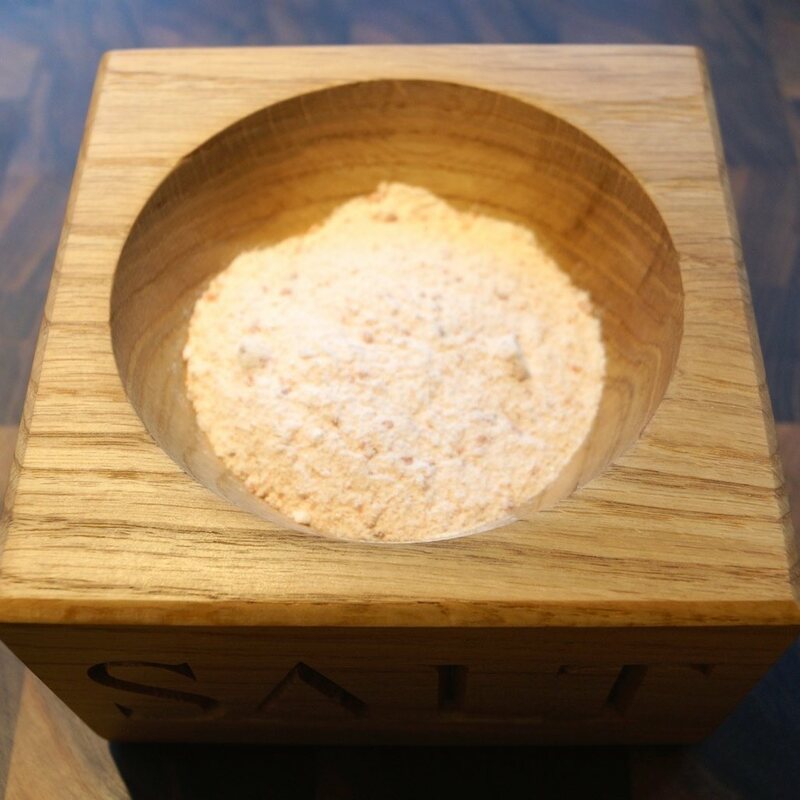 A small oak bowl for taking finger tips of salt to season food or our much large salt block which is large enough to get your fist into, ideal for sprinkling over a tray of roast potatoes.When it comes to seasoning your food, whilst cooking or at the table, there is nothing quite like this stunning looking big oak salt bowl. If you have never used a salt bowl before – you are going to love it! No lids, nothing to unscrew, just your favourite seasoning there in a pinch. Looking for our classic salt and pepper pinch bowls? If you are looking for a personalised wooden gift for a 5th wedding anniversary or a wedding gift for a friend or family member, this will be loved, enjoyed and used everyday. Our large wooden salt bowl is simply stunning and if you are buying for someone special, once you see it, you are going to want one for yourself. 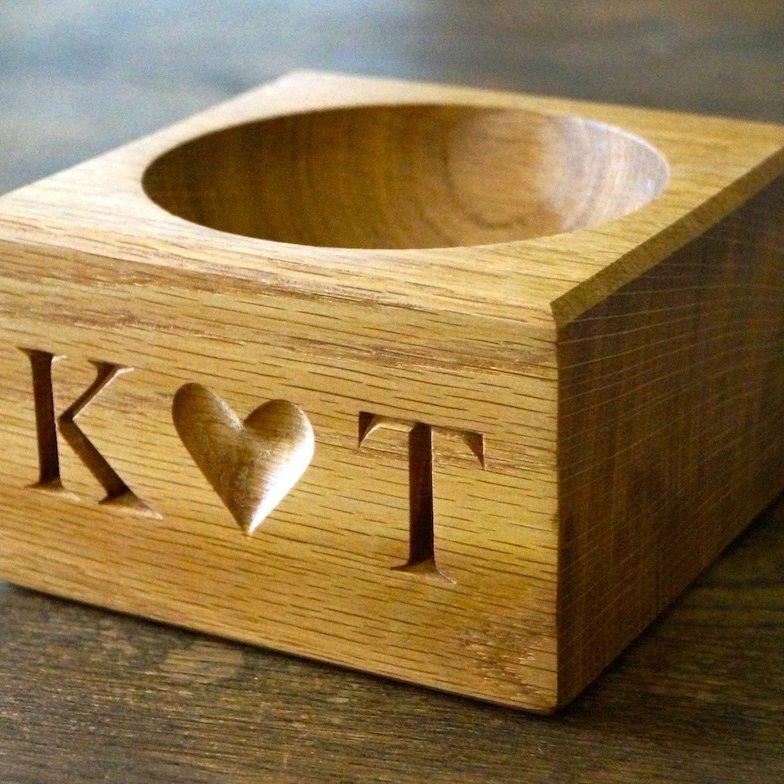 Personalisation: Our beautiful wooden salt pinch bowls are available blank, with standard engraving or can be personalised with words or letters of your choice. Up to 10 characters on the front face, with an option of adding another 10 characters over two lines. You can also add carved hearts, stars and other engraved motifs like zodiac signs. Take a look at the options available to you - Engraving options.